Lauren Castillo is one of my favorite people. She's incredibly kind, talented, smart, and funny. 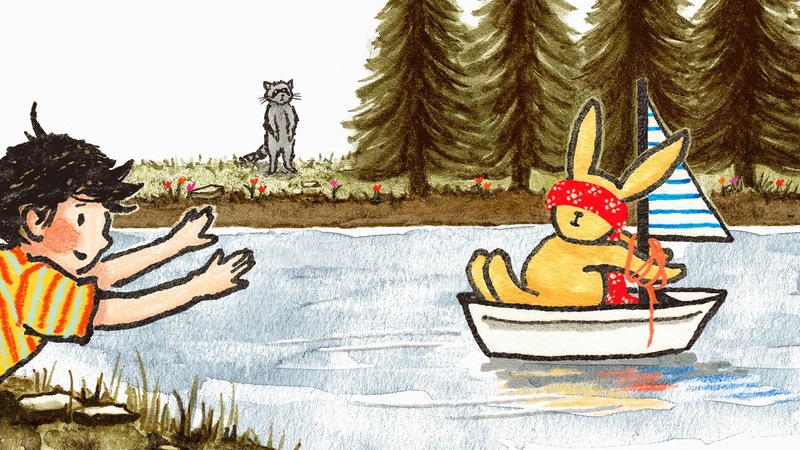 If she illustrates a picture book, I buy it. If she posts a photograph to Instagram, I look at it. If she writes a tweet, I read it. If you're not familiar with her work, I hope the interview you're about to read inspires you to check out ALL of her books. The Sharp-Schu Book Club is discussing The Troublemaker on July 23. I wrote the words in black, and Lauren wrote the words in red. Thank you, Lauren! 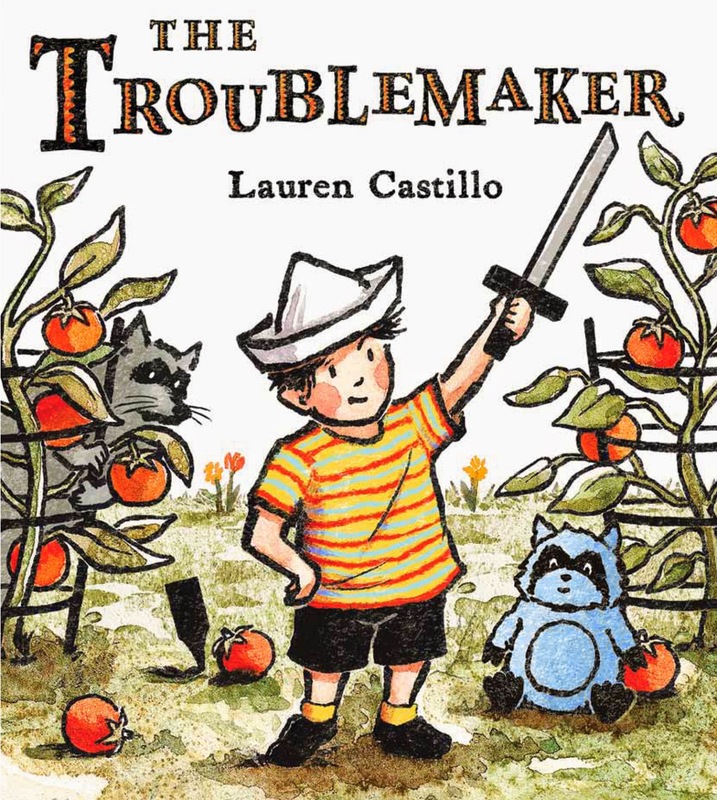 The Troublemaker was released on June 3. It tells the story of not one but TWO troublemakers. Troublemaker #1, a bored and mischievous little boy, decides to entertain himself at the expense of his sister and her poor stuffed bunny. He later learns his lesson when an even bigger troublemaker enters the scene. The illustrations for The Troublemaker were so much fun to create, but were also quite the challenge. I chose to tell a great deal of the story through my art, which meant keeping the illustrations clear and focused. I carefully selected the elements in each scene, highlighting those that were key in bold colors. I also used silhouettes at certain moments in the story to heighten the suspense. I worked on the art for close to a year—much longer than it normally takes for me to illustrate a picture book—but the troublemakers’ antics kept me smiling the whole way through. Emily Jenkins, Linda Stanek, Tracey E. Fern, Kate Banks, Elizabeth Partridge, Kenneth M. Cadow, Ann Cameron, Maribeth Boelts, and Amy Hest are noteworthy authors! It was an honor to illustrate each of their stories, and our collaborations have led to lovely friendships. 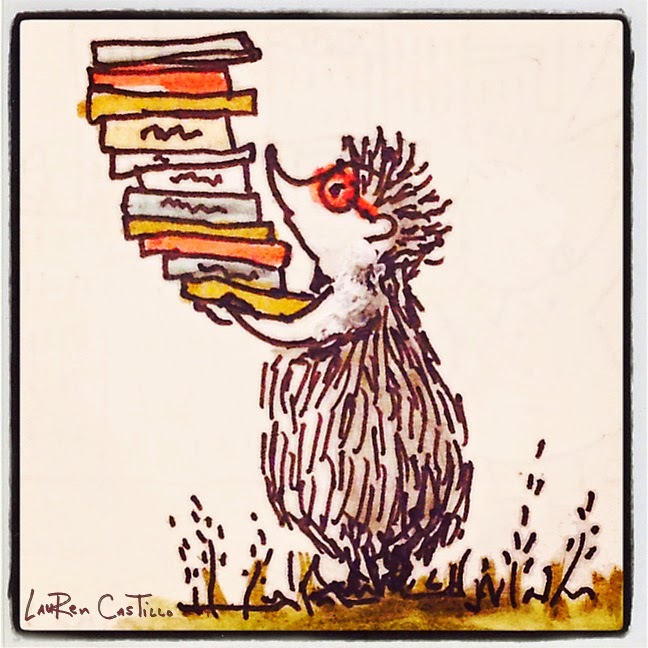 Picture books are my most valued possessions! 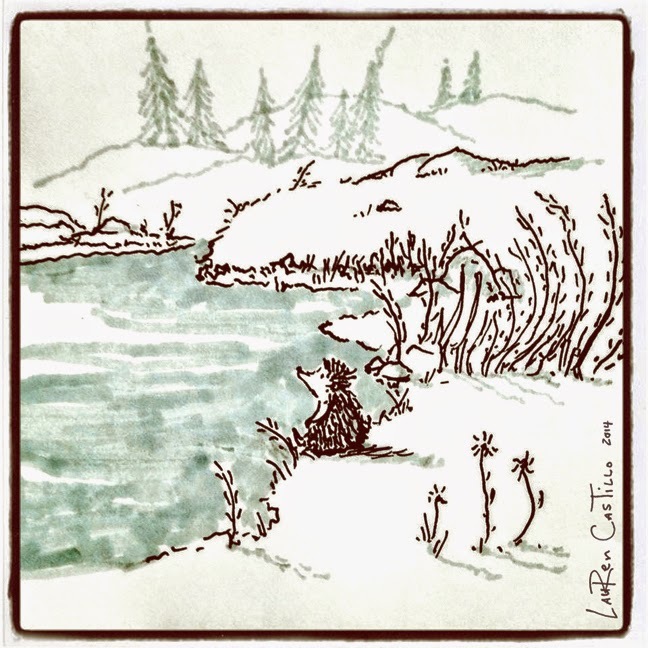 I love to write and draw them…Read them…Collect them…Decorate with them. They are a welcome addiction. Mr. Schu, you should have asked me about NANA! She's a hip, city-livin' lady who is the star of my upcoming book, NANA IN THE CITY (Clarion/HMH). 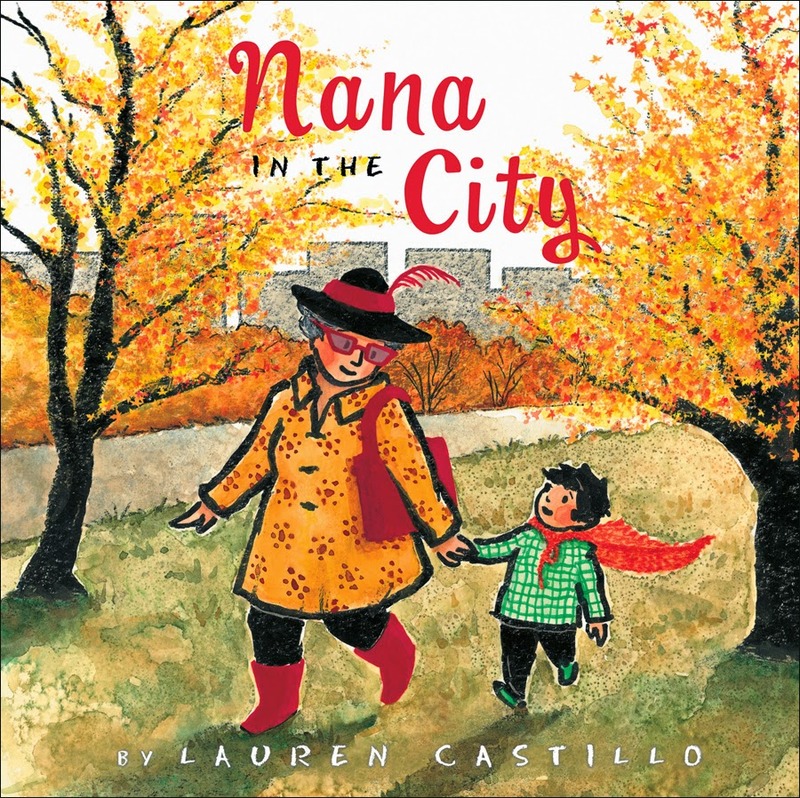 The story is a love letter to the city, inspired by three very special city-dwelling nanas in my life— my former editor, Frances Foster, my 100-year-old Great-Aunt Virginia, and my Nannie. NANA IN THE CITY is about bravery, and the importance of venturing out of your comfort zone. Look for it on September 2nd! I am giving away one copy of The Troublemaker. 1. It will run from 6/6 to 11:59 p.m. on 6/8. 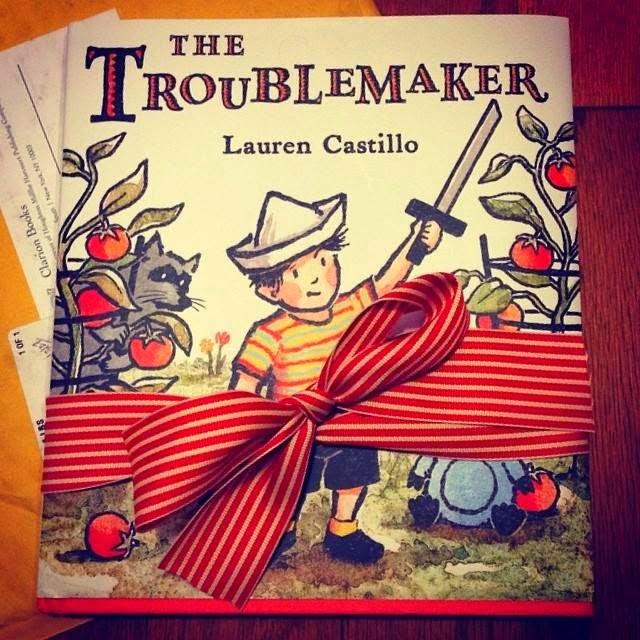 Borrow The Troublemaker from your school or public library. Whenever possible, please support independent bookshops. Happy Book Birthday to Arree Chung's NINJA!